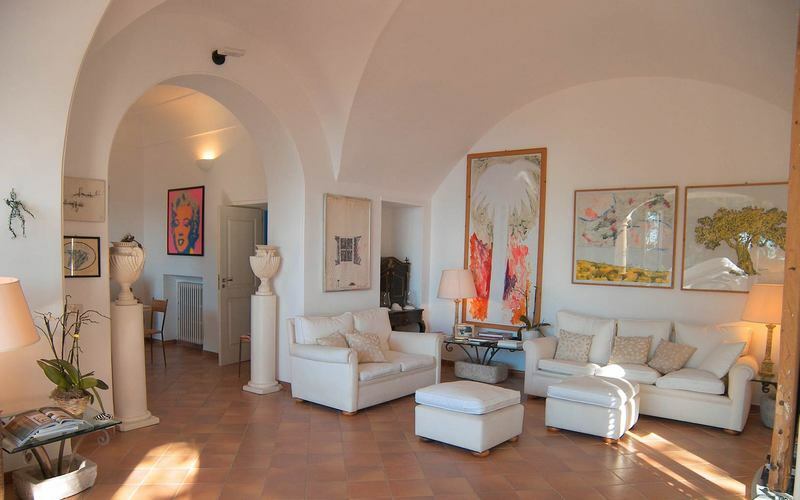 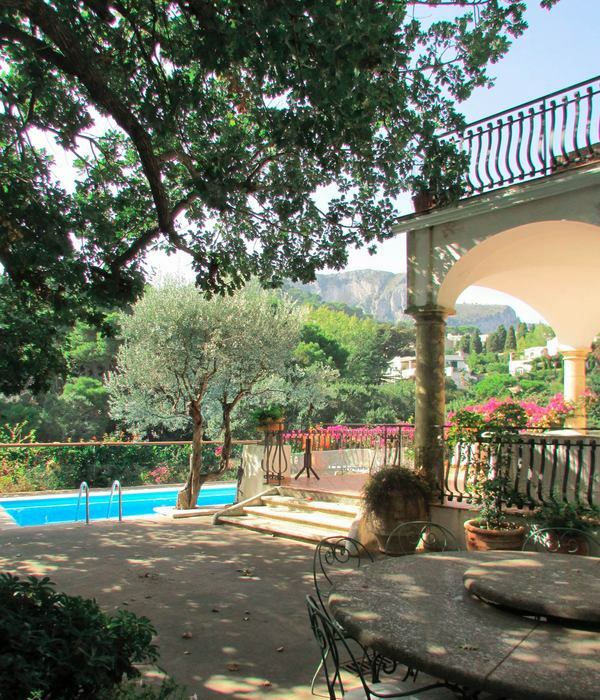 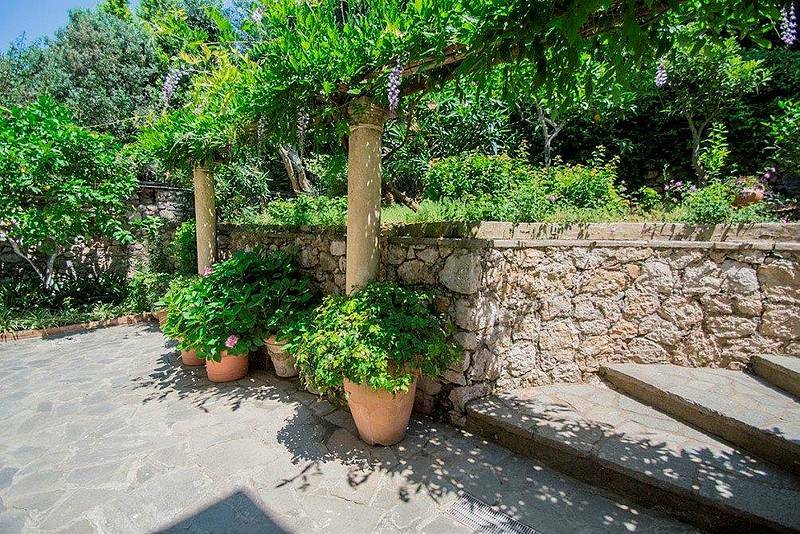 Just a five minute walk from the famous Piazzetta, you can reach the lovely Villa La Quercia, a dream residence surrounded by a park of pine wood of 7.000 sqm' in the exclusive area called Occhio Marino. 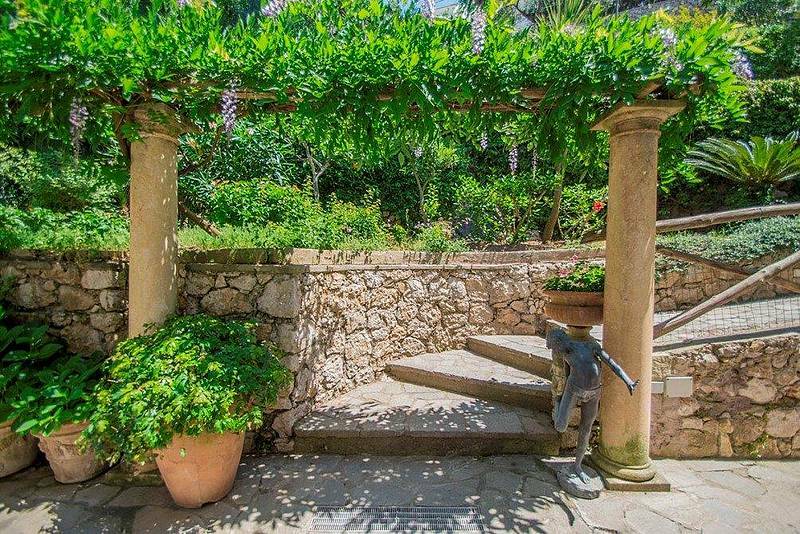 Once accessed the pretty handmade iron gate you can follow the stunning bouganvillea path till the main house entrance. 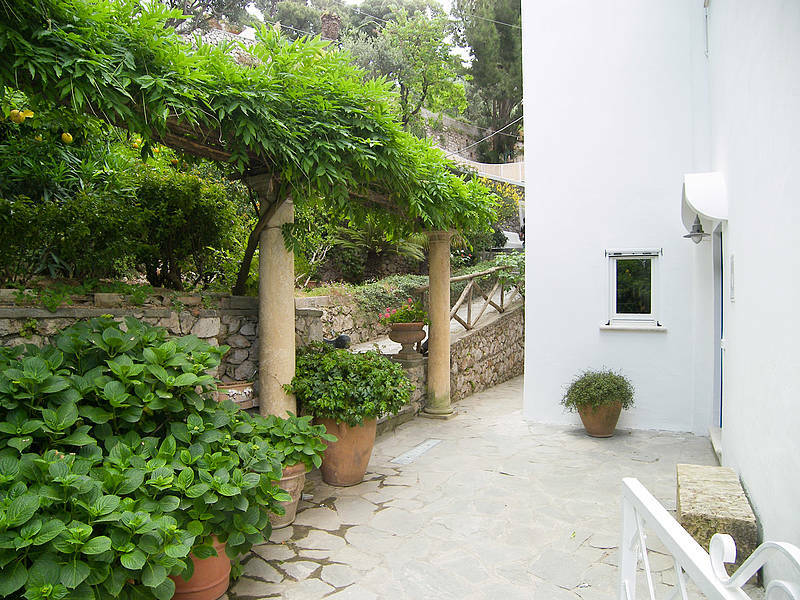 The property is composed by 4 units: the main house and three annex. 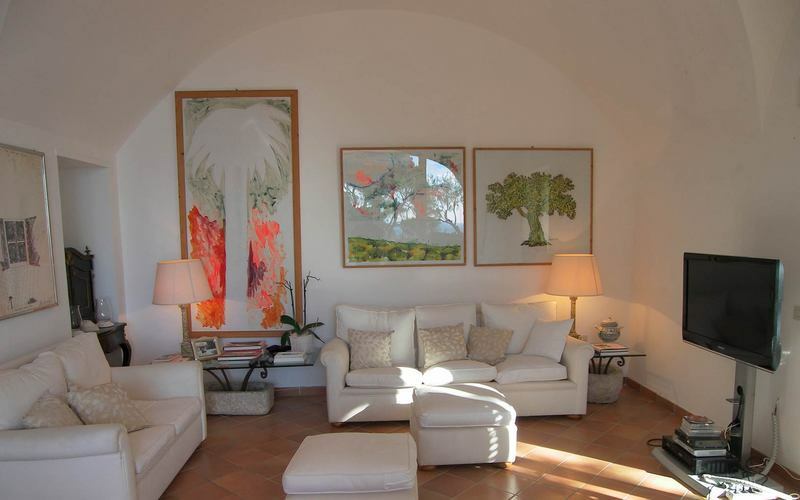 The main house welcome the guests in a large nice sitting room with divans and idlers of white stuff and equipped with a Tv 32'', wifi and Dvd. 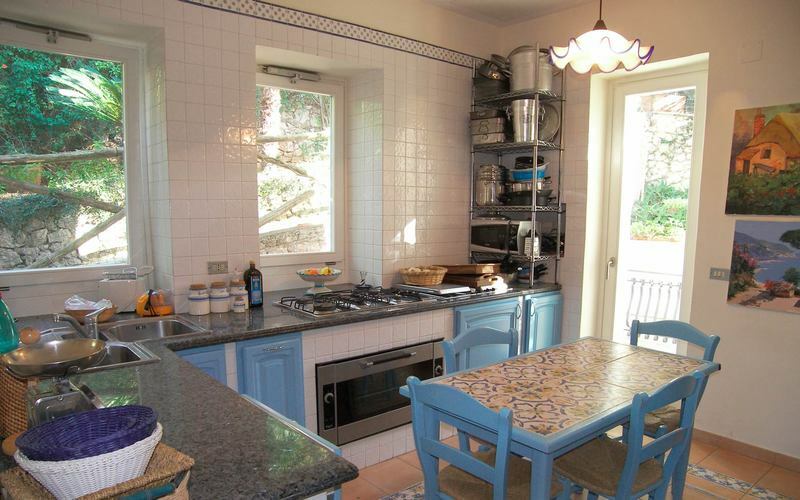 Beside the sitting room a big kitchen fully furnished with an American refrigerator, 5 cookers, elettrical oven, toaster, microwave, dishwasher is the perfect location for your dinners and breakfasts. 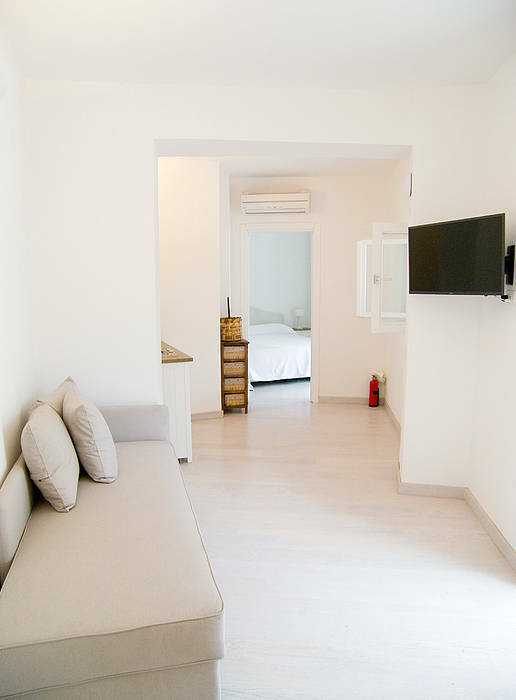 From this room you just have to descend the stairs to access the laundry where you will find the washing machine as well as the freezer. 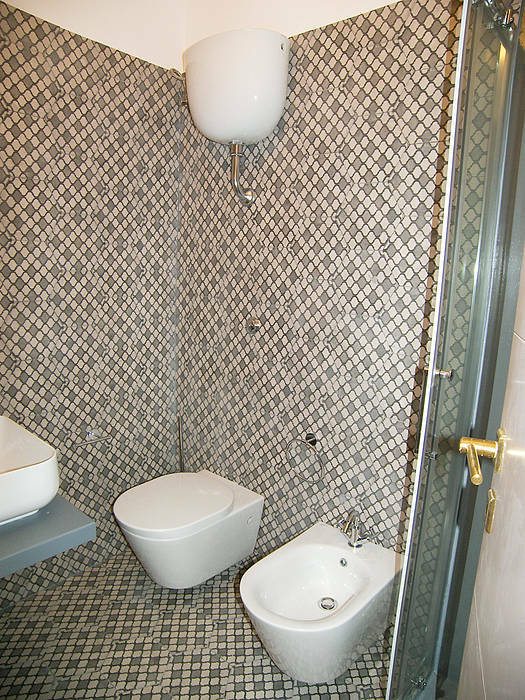 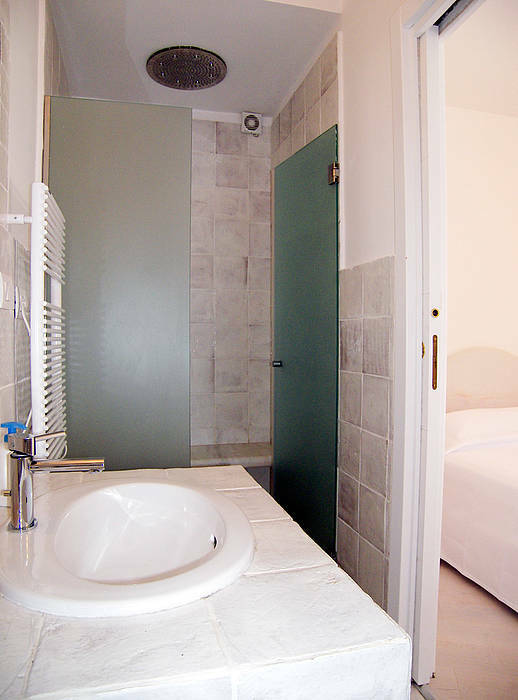 Next to the kitchen there is a bedroom with a French bed and a bathroom en suite with shower with nice grey ceramics tiles, while you need to climb the central stairs to reach the 3 wonderful bedrooms at the first floor: each room is provided with "Queen" size beds and a large bathroom en suite with shower. 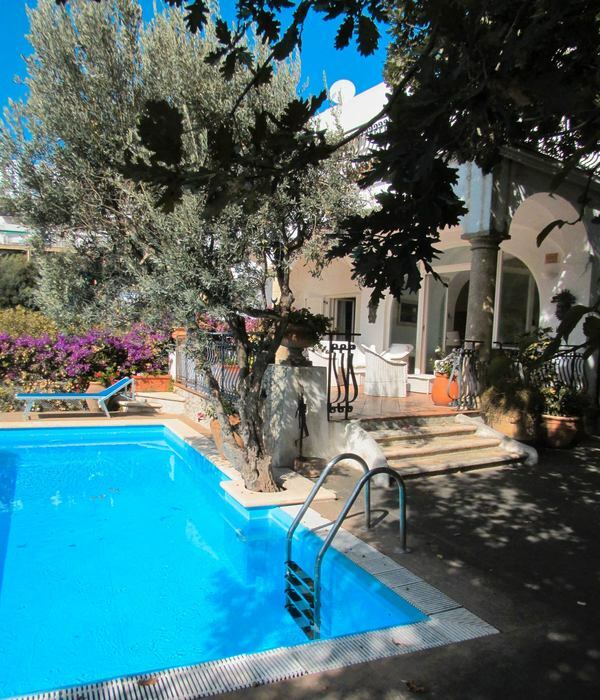 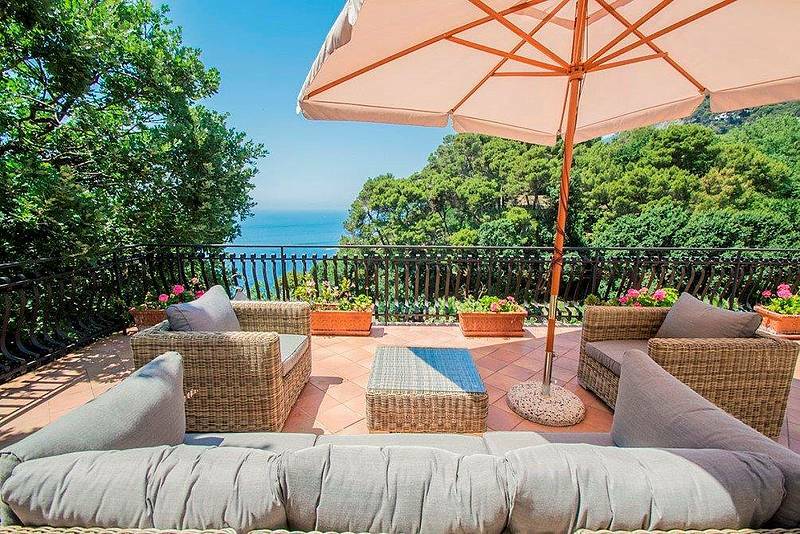 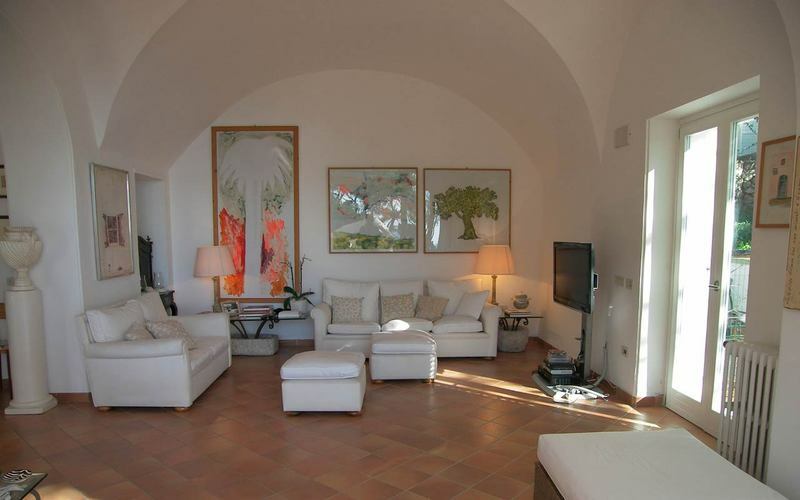 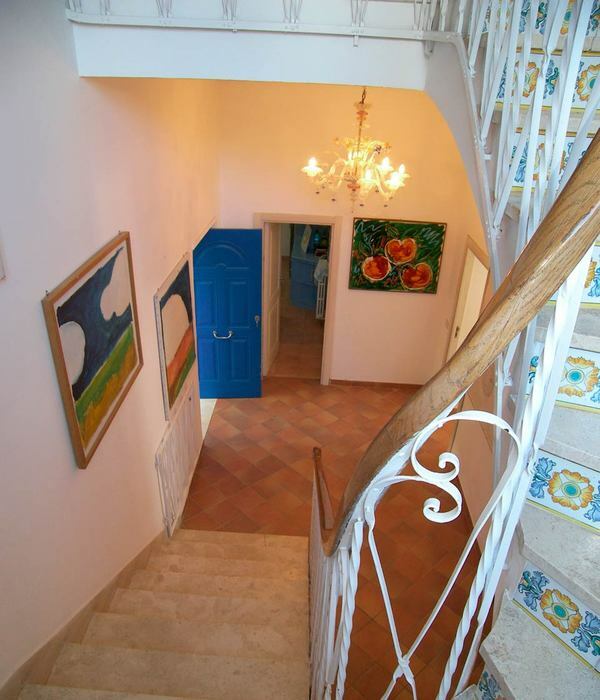 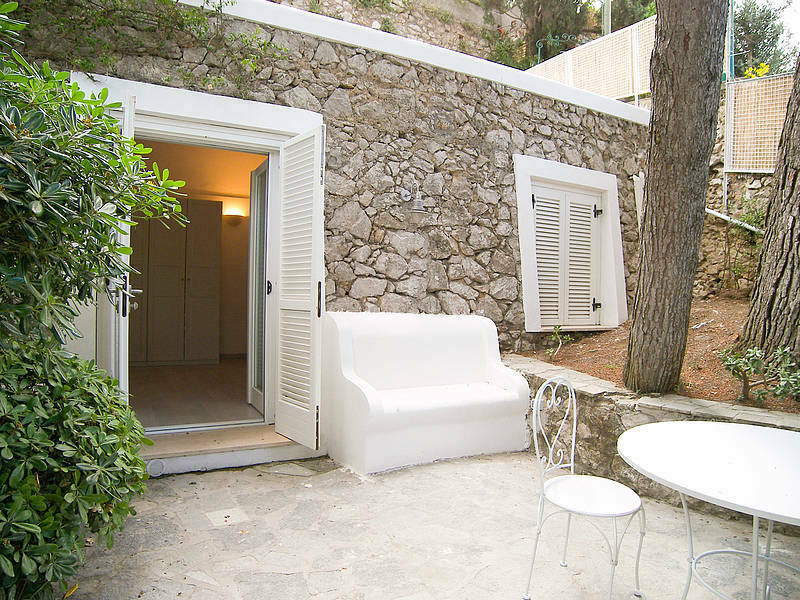 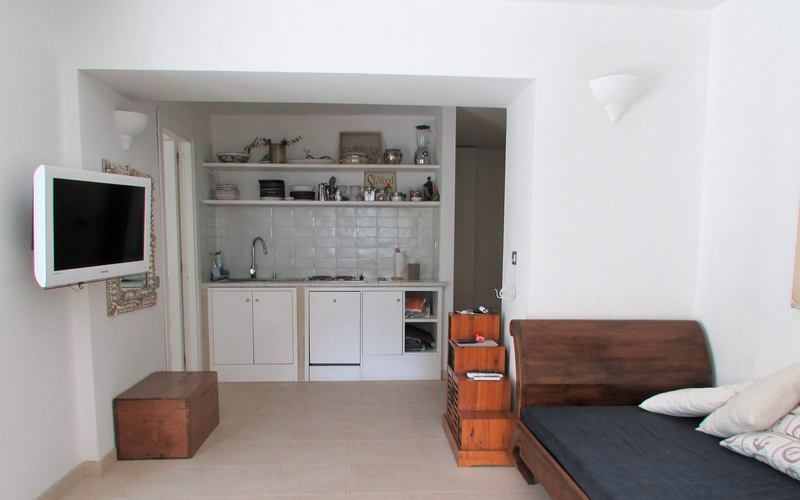 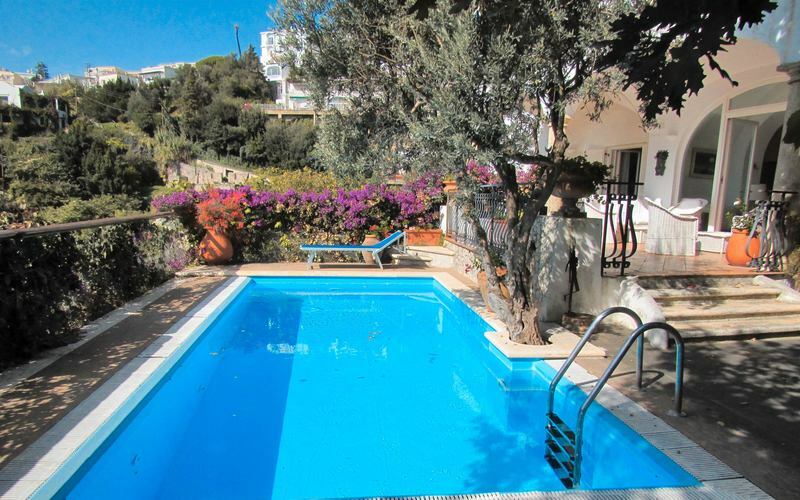 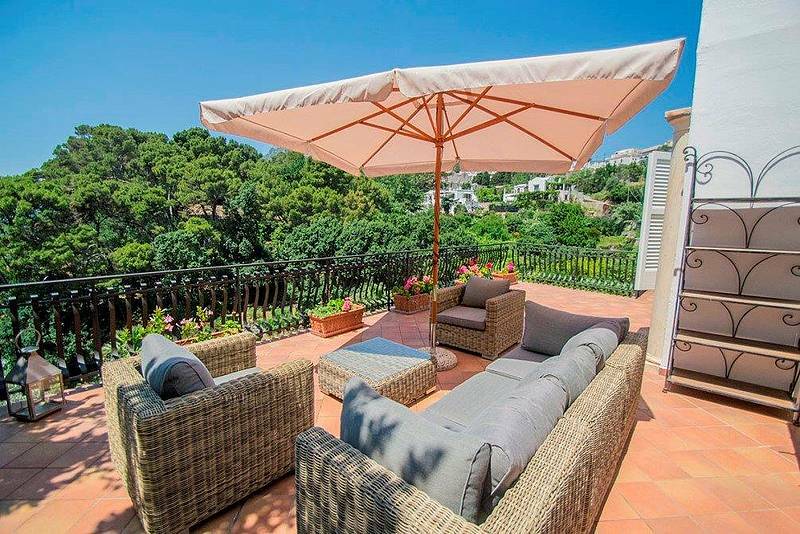 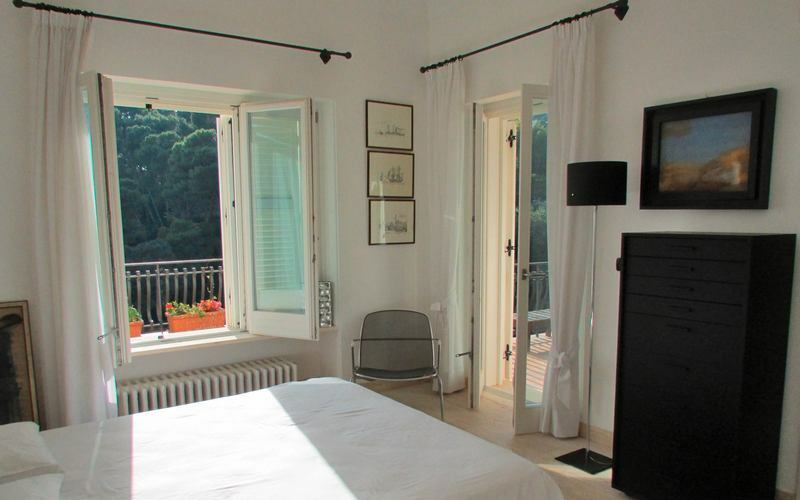 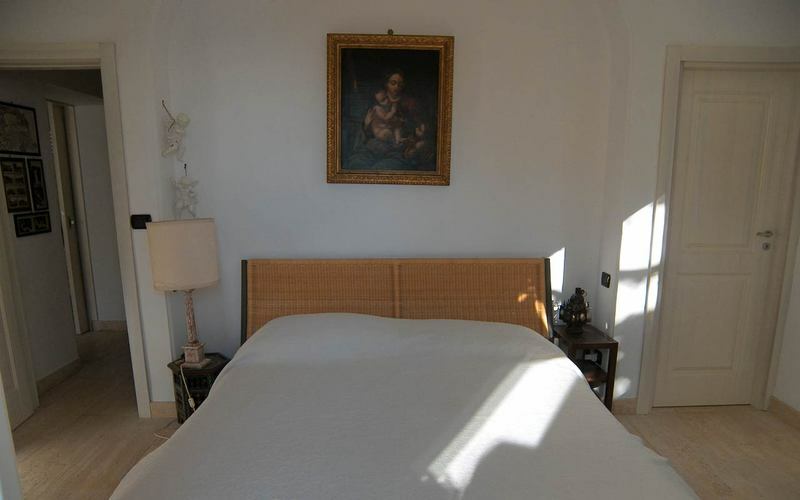 Two of these rooms boast a private access on a large terrace, overlooking the sea and the park of the property. 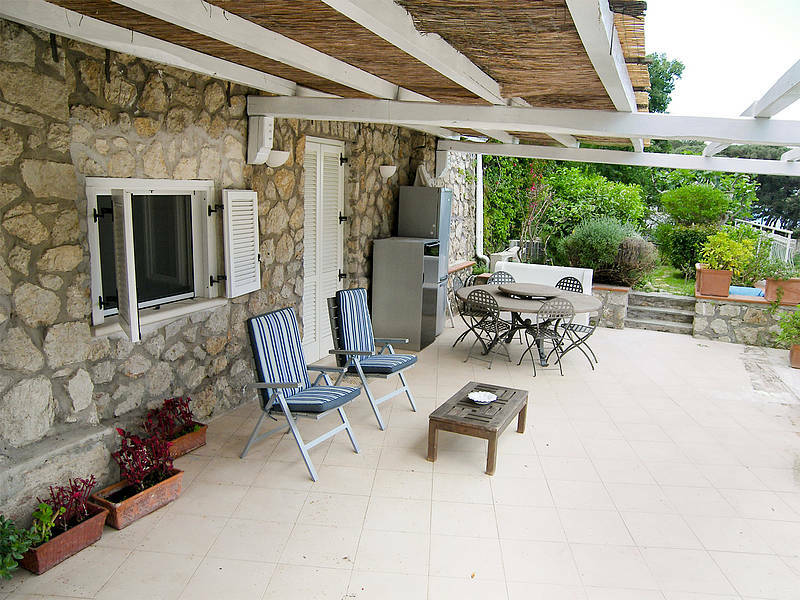 From the sitting room 2 exits lead to the pool terrace, where you can enjoy your time relaxing on rattan divans and idlers with white pillows or taking a dip into the swimming pool of 6 x 3 meters. 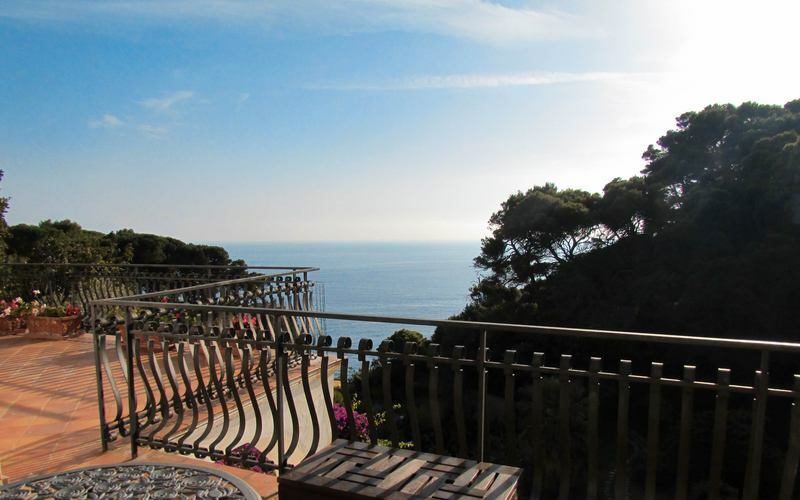 From here you can admire an incredible view over the bay of Marina Piccola and the park of the villa. 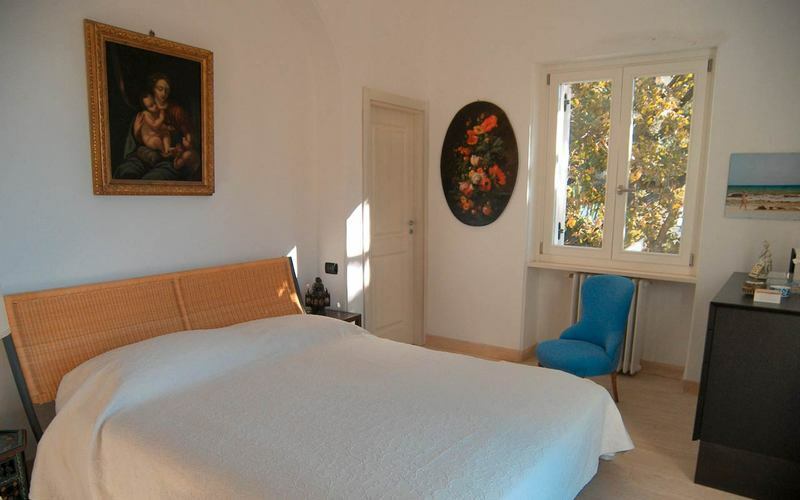 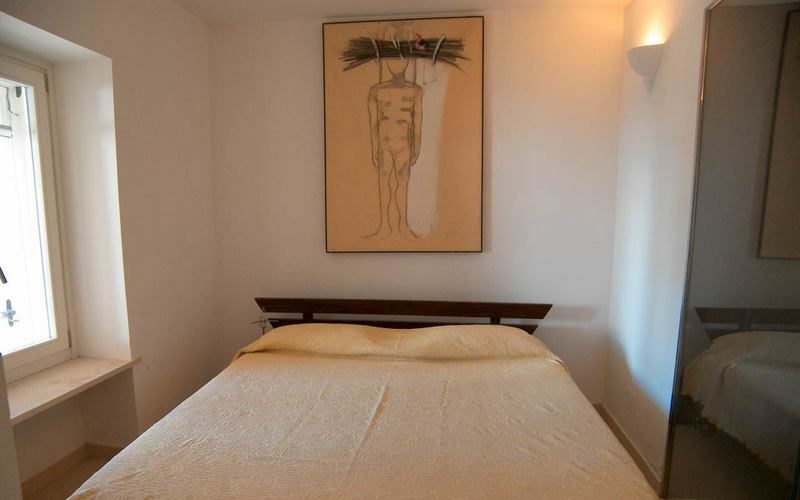 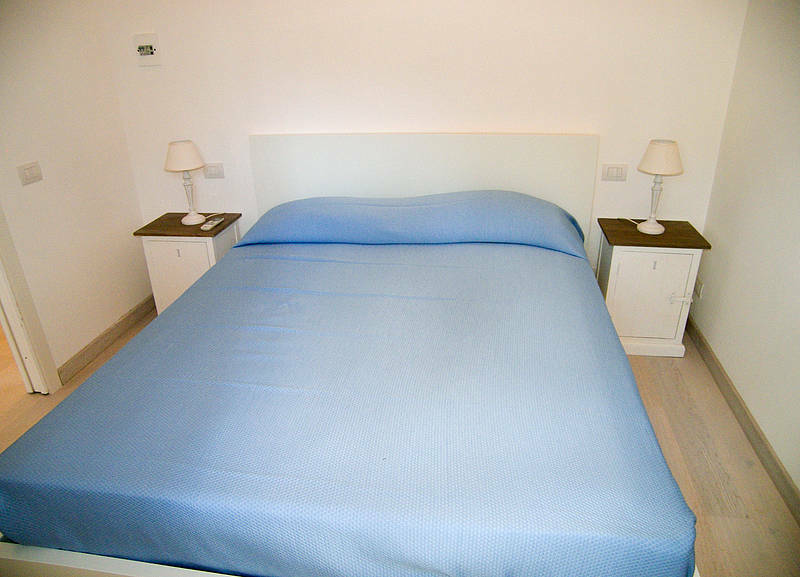 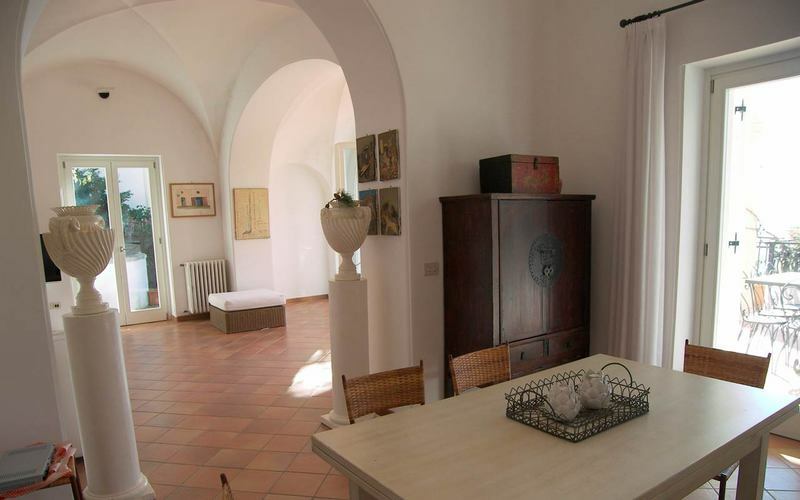 If you stay in the first annex of Villa La Quercia, you will find a queen size sofa bed and on the same floor a cute bedroom with a "King" size bed, a bathroom en suite with a large shower box. 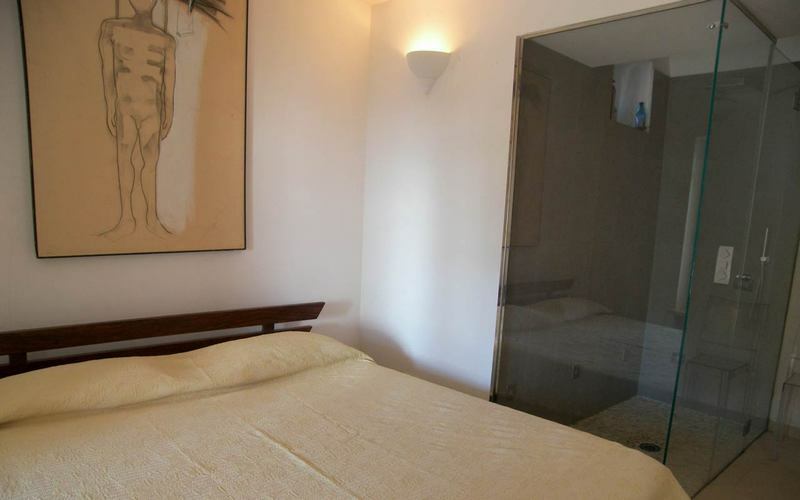 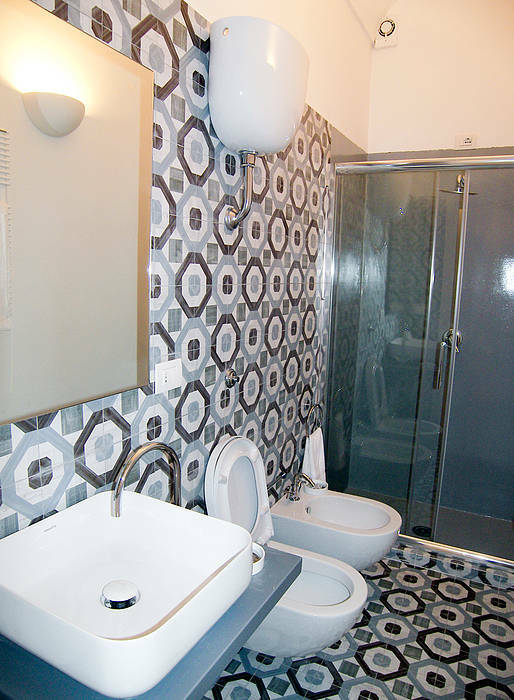 The second bedroom has, instead, twin beds with a large private bathroom with shower. 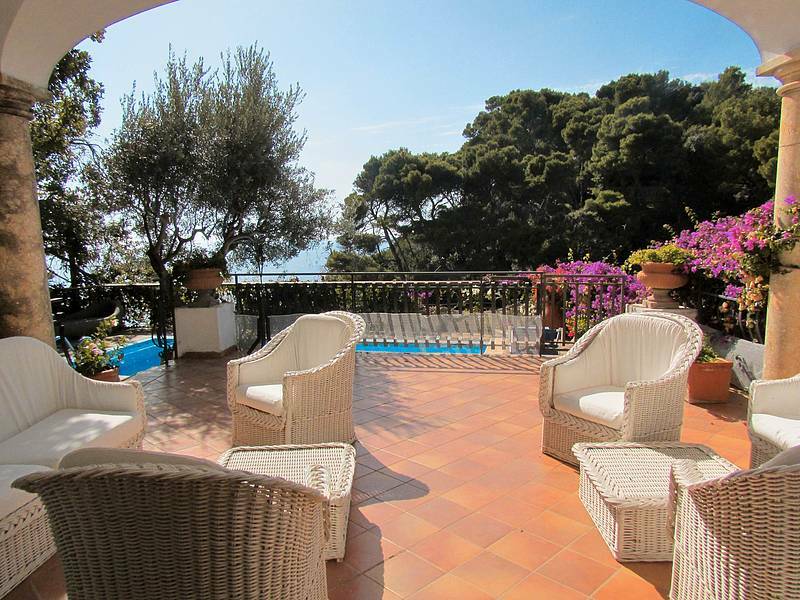 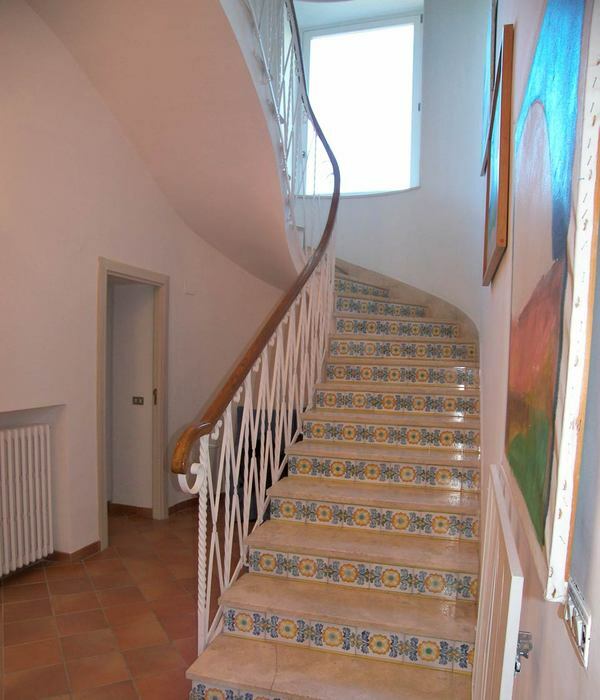 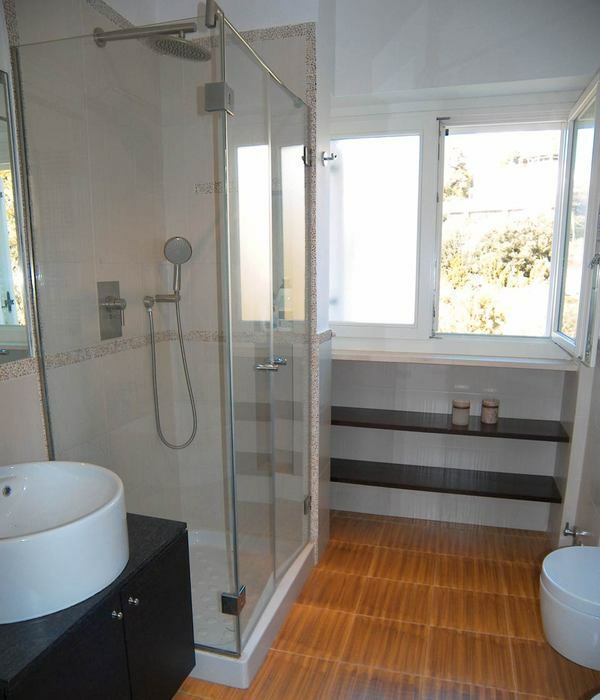 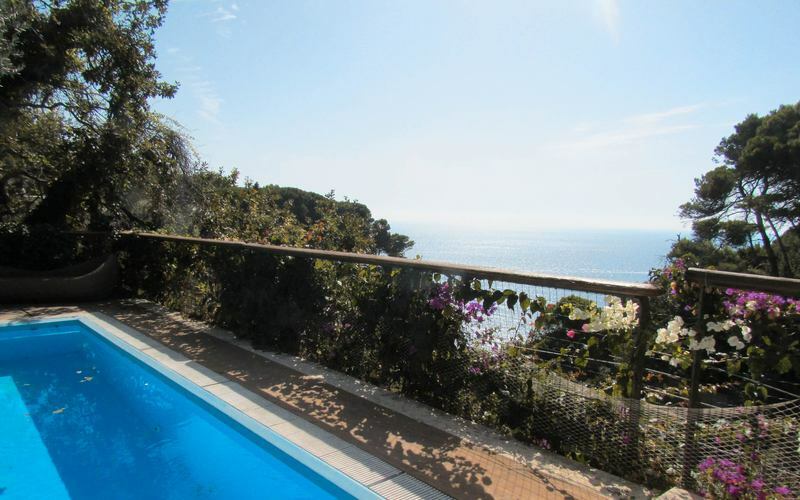 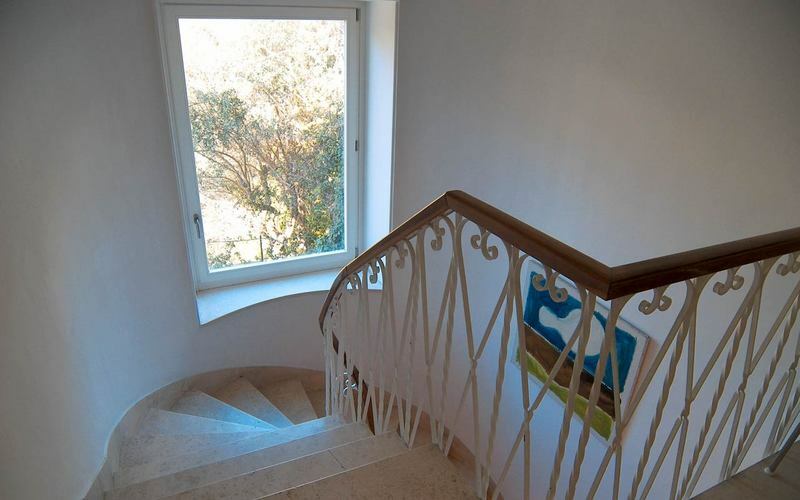 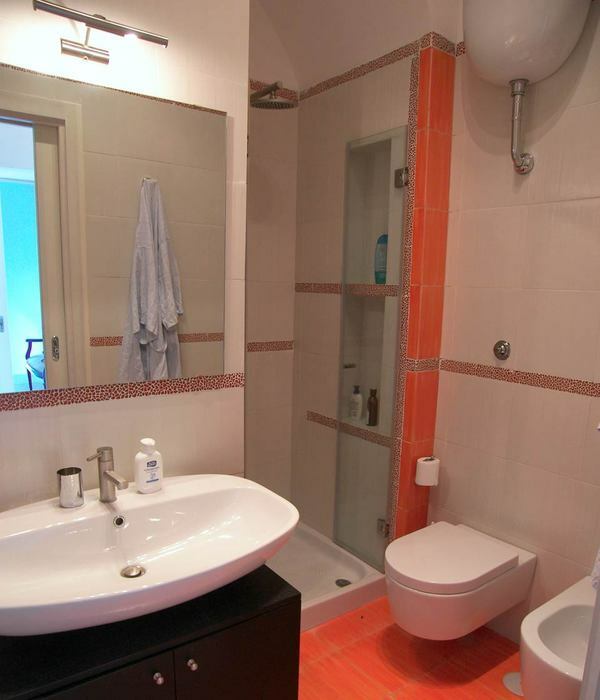 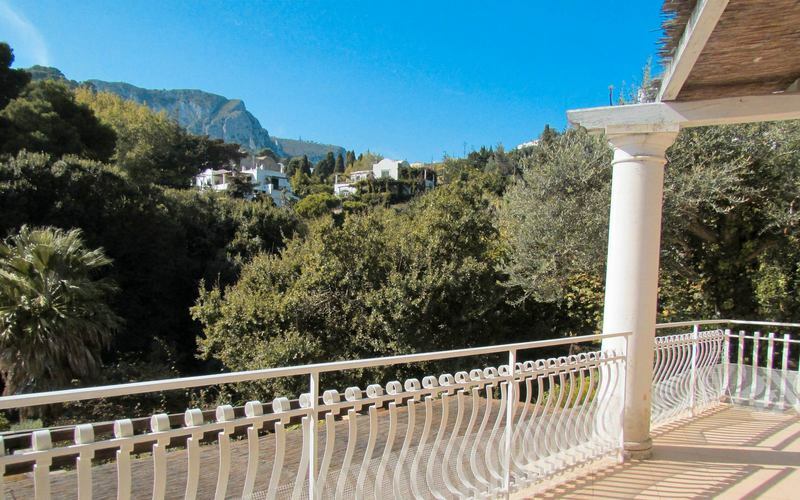 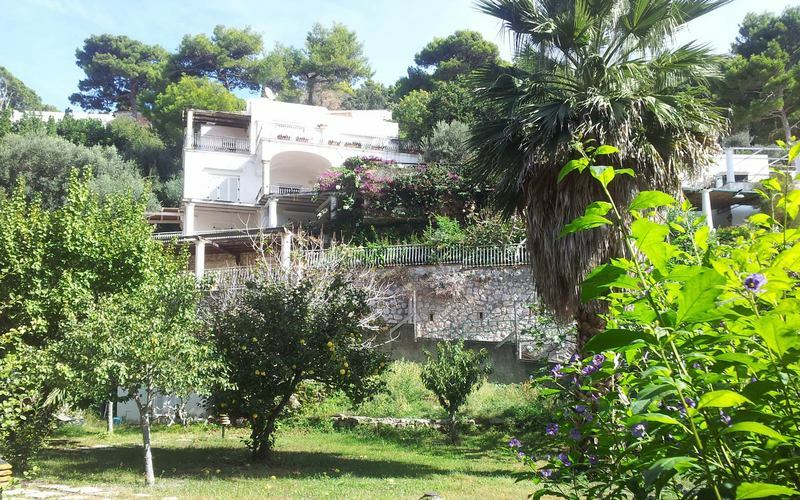 Also the annex can boast a large terrace with a stunning view on the park and on the sea of Marina Piccola. 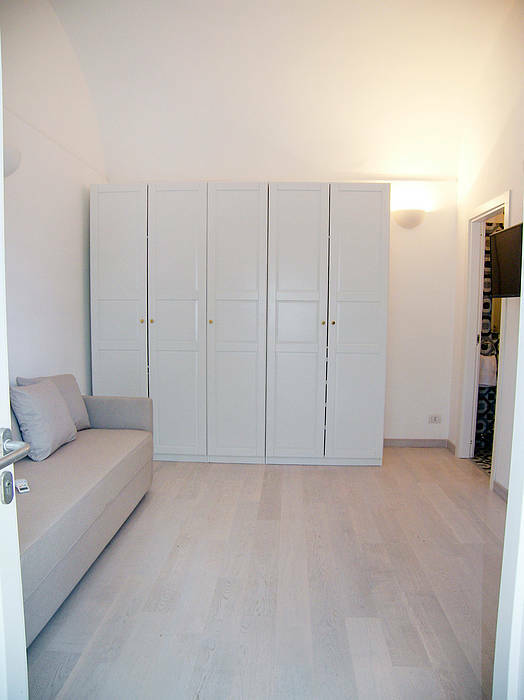 Other two annexes are now available to be rented: the first has a double bedroom with queen size beds and a single bedroom and a bathroom. 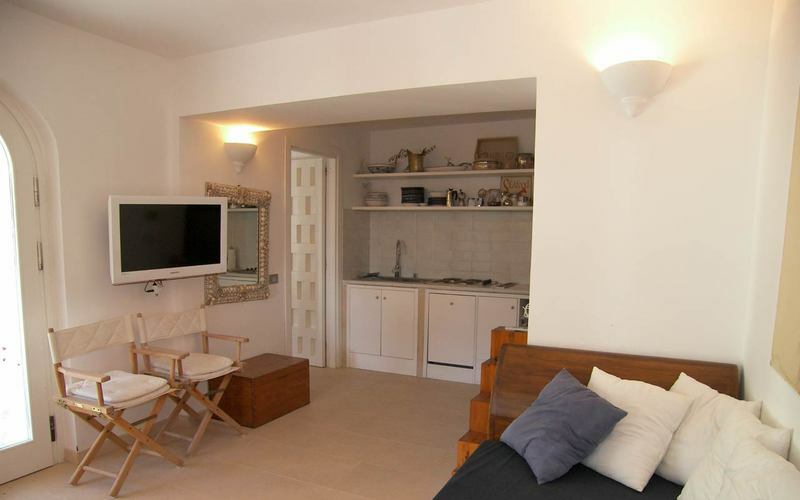 The other has a double bedroom with ensuite bathroom, a queen size sofa bed and another bathroom. 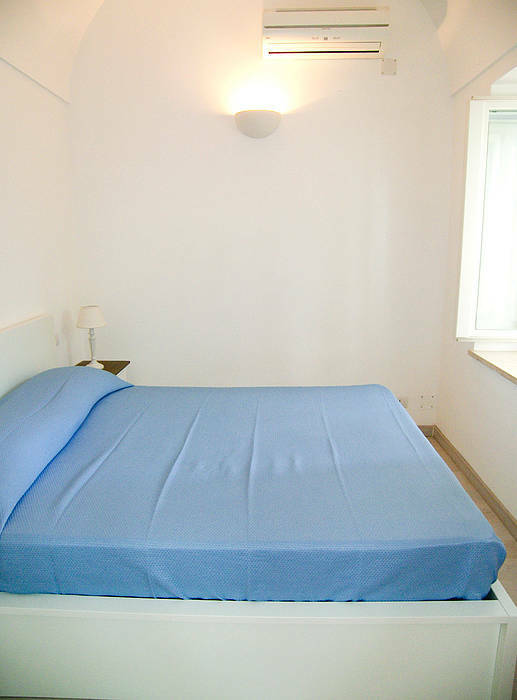 Wifi connection is available in all the rooms of the Villa, in the annexes and in the park as well. 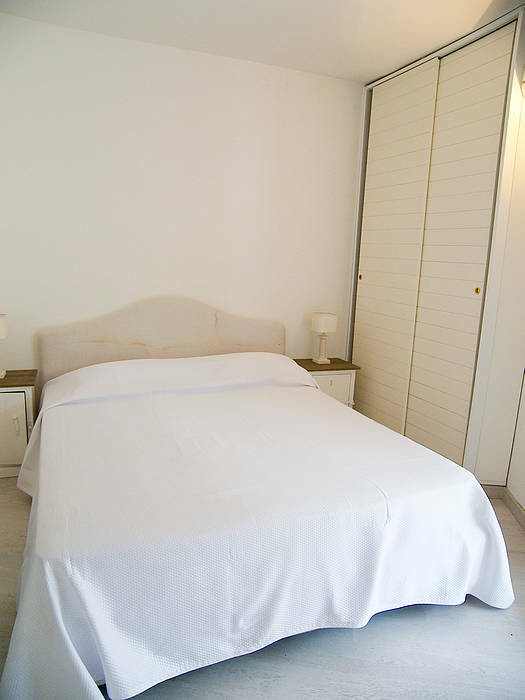 All the rooms are equipped with mosquito net and a Tv 32''. 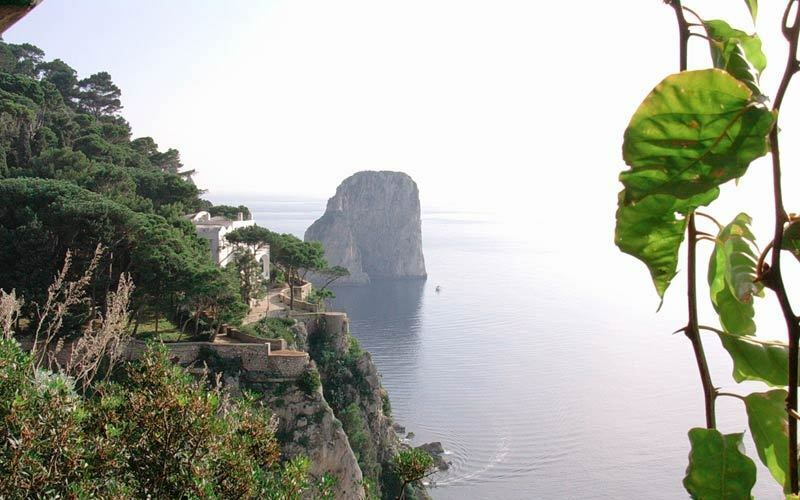 Would you like to have unforgettable memories of the Capri's beauty? 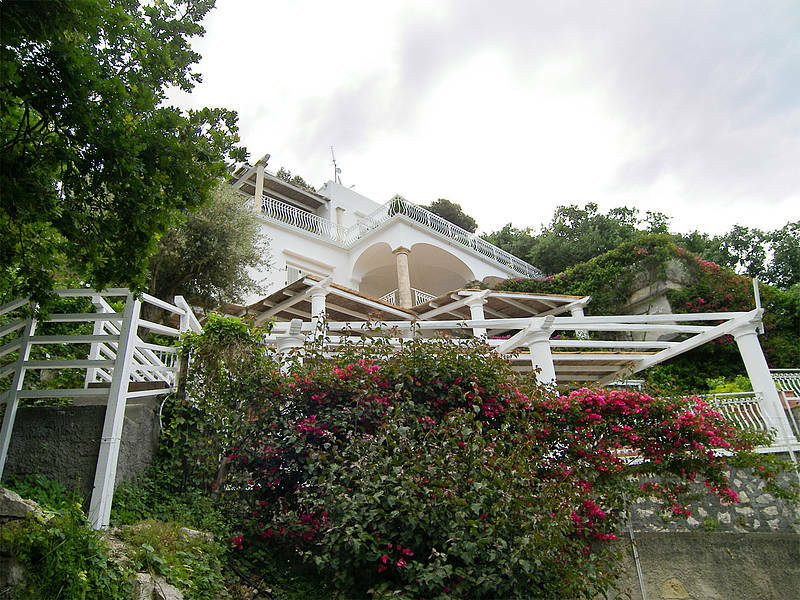 Follow the path among the pines into the park of the villa and you will reach a beautiful viewpoint where you will enjoy an incredible panorama of the Faraglioni's rocks and the bay of Marina Piccola.